College that changed my life. 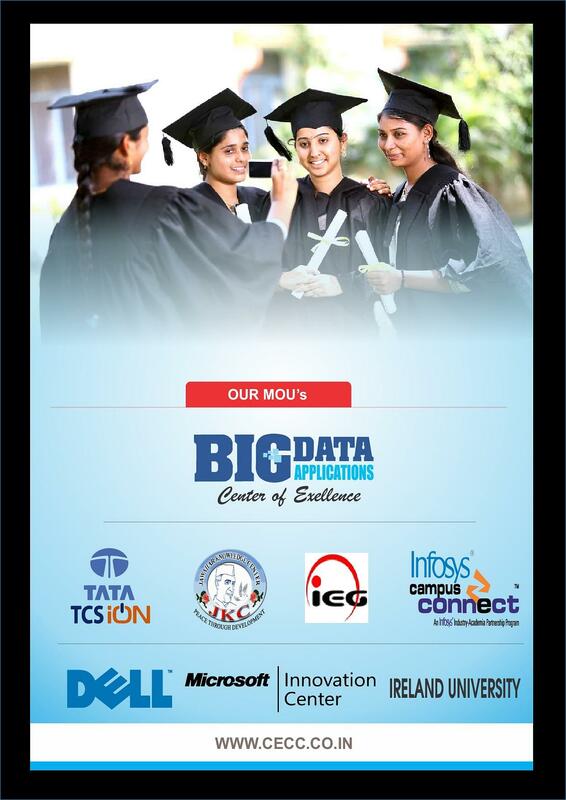 Our college is very good in all aspects of studies and sports. And they provide a high quality of education and high quality of training in sports also. The college management is friendly nature. So, we don't have any problems with them. The administration body is very supportive to the students and encourages each and every student in their own fields of interest. Good can learn lot of things from staff and self we have good labs,library,sports,etc. Bad cast system dominates in this college this would be the worst for ever. The faculty and seniors are helpful for study purpose, not much help is needed from them any others activities were always united. 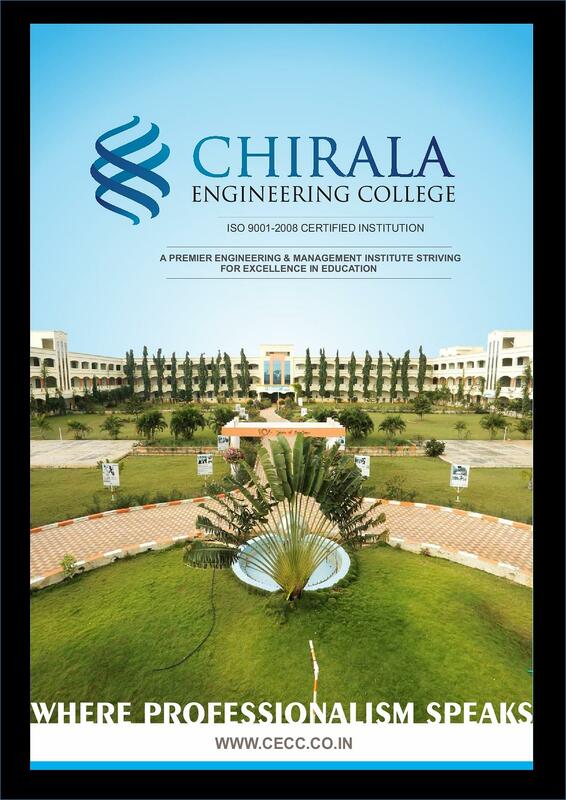 Chirala Engineering College was established in the year 2001 under the aegis of GSR &TSR Educational Society in order to develop wisdom in the students that translate academic achievement into responsible students. 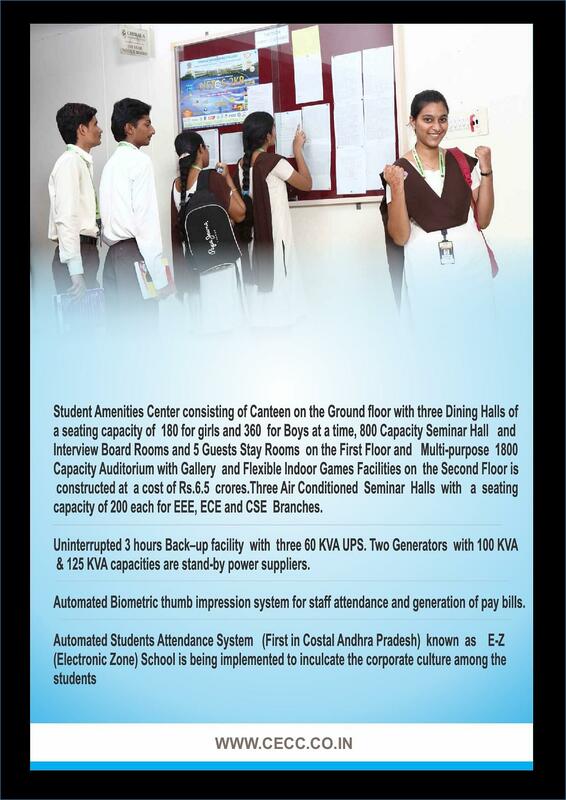 Hostels: There are separate hostels for boys and girls on campus. Internet: College has dedicated internet leased line of 20 Mbps that is connected across the campus. EAMCET As per my EAMCET rank thought of selecting a college which gives future job scope. Thought of checking details about college but no feedbacks or reviews available at that time. EAMCET. As a rural background student i motivated by siva and bhavani madam. 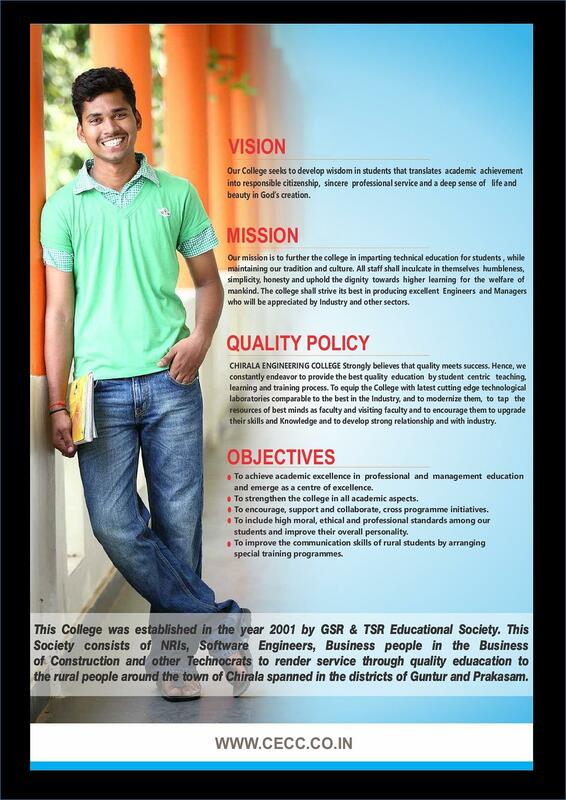 They encouraged me alot to take the admission in an engineering college. They helped me to join in the college also.